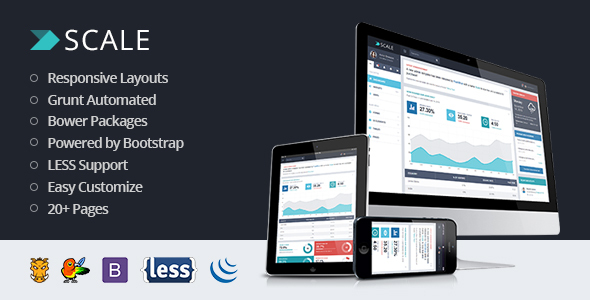 Scale is a premium Bootstrap web application admin template. It's beautifully coded and fully featured, ready to be implemented in the admin end of your web application, or as an intranet theme. It’s also perfect for your next Rich Internet Application. Scale is at the cutting-edge of modern web development. It's lightweight and responsive powered by the latest Bootstrap framework. It comes with a UX-friendly, clean and intuitive design that gets out of your way in favor of getting things done.